Keto donuts are perfect for your cravings! These low carb donuts even have incredible keto icing! What is the scariest things about the Keto diet? No donuts. 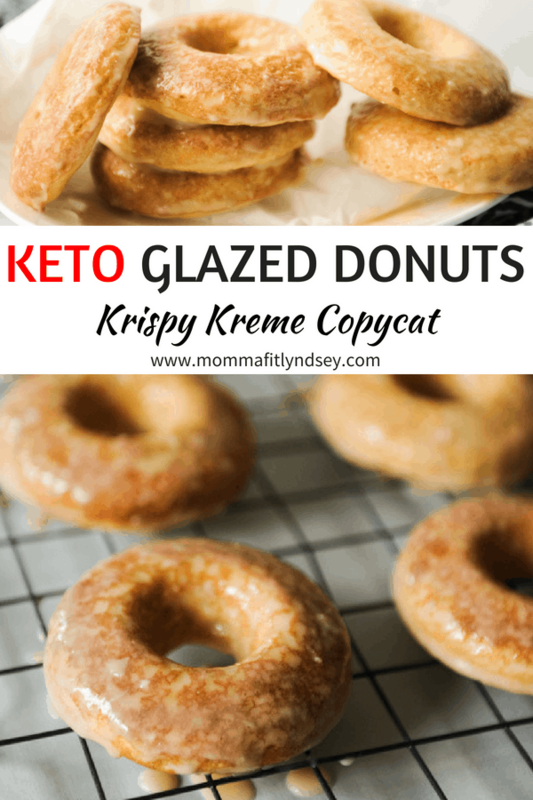 But, if you are a little crafty, this keto donuts recipe will make you think you’re eating Krispy Kreme! Don’t you just love a recipe that be considered breakfast and dessert? Keto breakfast and Keto dessert for the win! Seriously, I could eat donuts all day… and I know I’m not alone! So why are we making this donut keto-friendly? There are a few items that are no-no’s on the keto diet. The keto diet is defined as low-carb. That means you will be limiting certain foods. 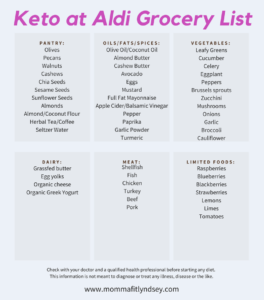 So this list may have you wondering… how do I make a donut that is keto-friendly!? There are a few all natural sweeteners, like Swerve, that make keto recipes low-carb! 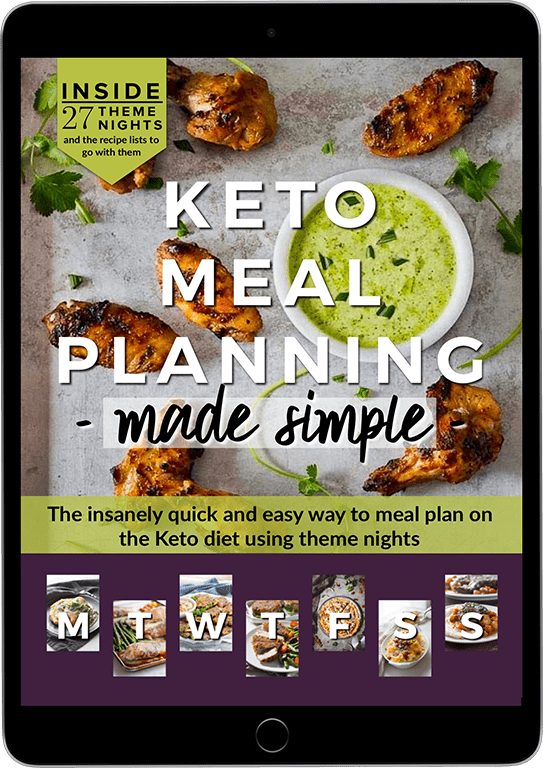 Scroll down for the recipe and for my list of Keto for beginners must haves! 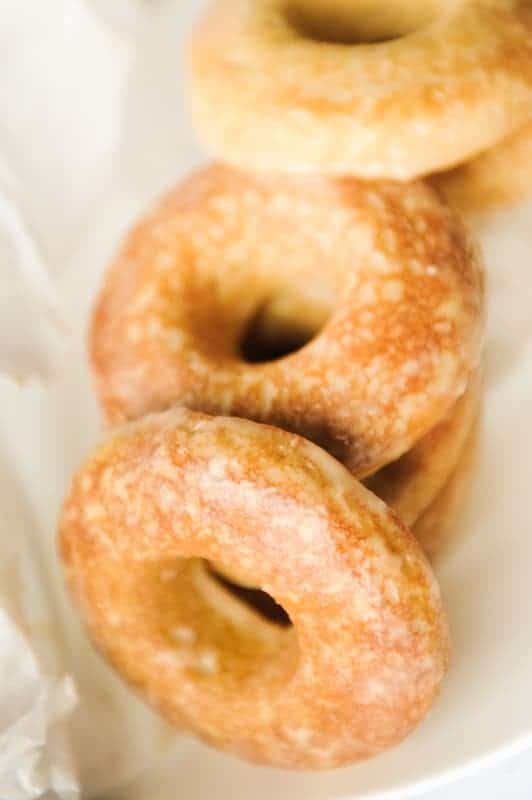 This keto donuts recipe is really quite simple! Just be sure to have a donut pan 🙂 Gather up all of your ingredients and a little bit of time! 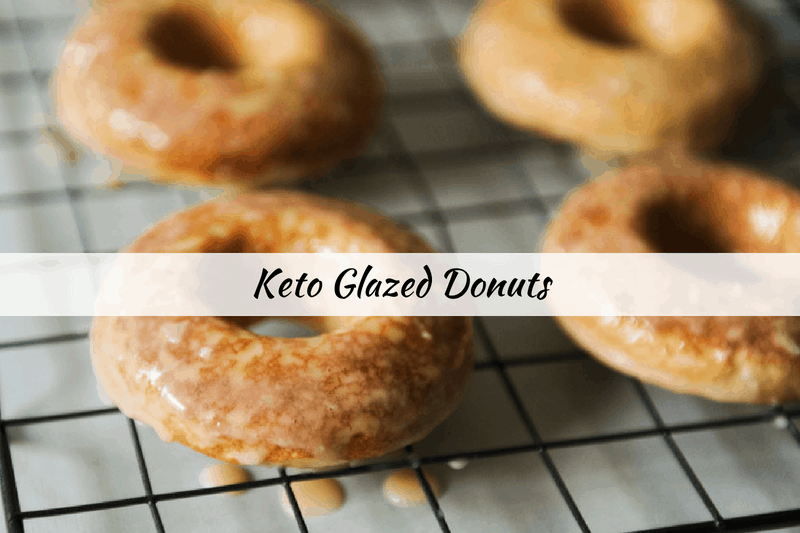 These donuts were quick to make but the keto glaze does take a bit of time to thicken. 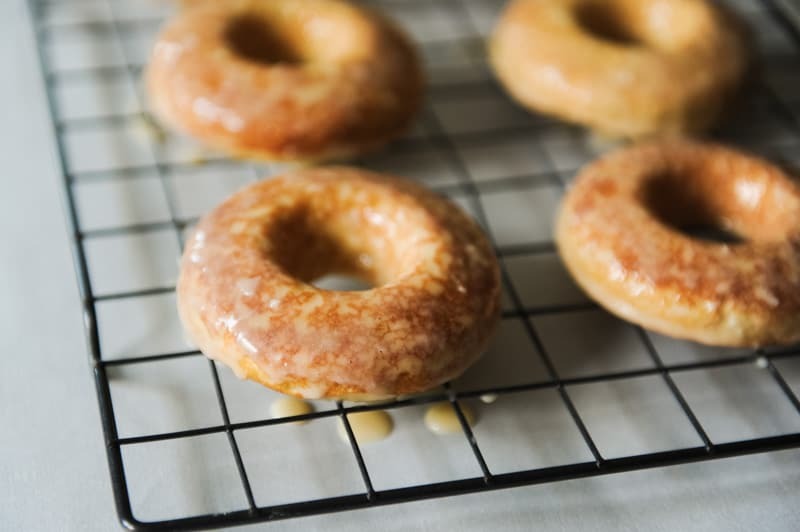 If you want your donuts to be glazed and not wet, you will want to wait for at least 60 minutes for the glaze to thicken up! This low carb keto bread recipe from Vigor it Out also sounds amazing! Melt butter in sauce pan and add in Swerve. Stir until Swerve is completely melted and then add heavy whipping cream and vanilla. Stir over medium heat for about 5 minutes. Separate two eggs and discard yolks. Whip egg whites to stiff peaks and set aside. Mix together dry ingredients and softened cream cheese. Add wet ingredients and stir until well mixed. Gently fold egg whites into mixture. Stir until color is consistent. Spray donut pan with coconut spray and fill approximately 2/3 of the way. Bake in oven for 14-16 minutes or until lightly browned. Allow donuts to cool in pan for 5 minutes then move to a baking rack to cool completely. 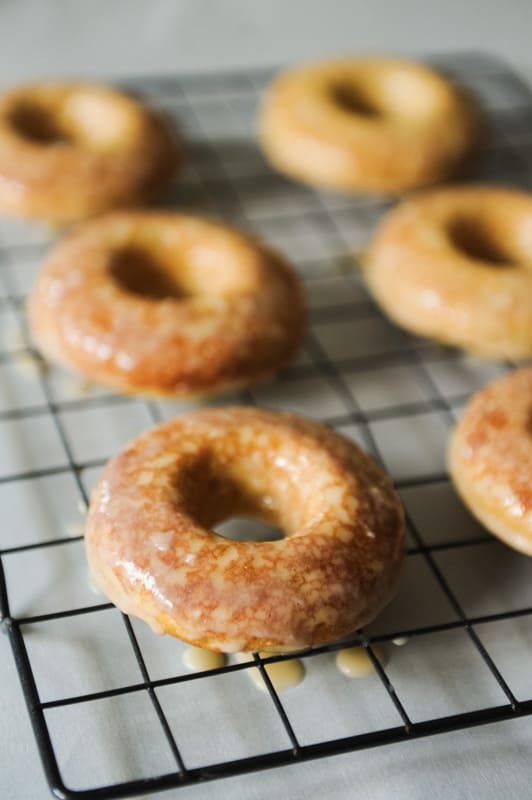 Allow glaze to completely cool and thicken before dipping donuts in glaze. You may also glaze very lightly and/or allow donuts to sit out to avoid being wet. Hi! Looks great, but do you have the nutritional info? Thanks! Great recipe! When do the egg yolks go in? don’t add the yolks. You can use them for something else or discard. Do you use Swerve confectioners or granular sweetener for the donut part of the recipe? I’m pretty sure it’s confectioners for the glaze. I used the same as for the regular donut part but confectioners would work much better! May want to add a comment in the instructions about discarding the yolks. Says to sit aside for later which I assumed was later in the recipe. Added with wet ingredients. Thanks! Just wanted you to know I made these just as directed, except I used the Lankato Monk fruit sweetener, and my family was amazed. My son, who is not eating keto, told me they were better than the donuts he had earlier in the day. PLUS, I got a thumbs up from my husband. This has been a difficult task with other desserts. The glaze MAKES the donuts. SOOOOOOOOO GOOOD!!!! Thank you, I will be making again. Very soon! Is the protein powder required? How many servings will this make? How many donuts in 1 serving? yes I would include it. Yields 6-8 donuts and one per serving. I do suggest adding the yoke back in to an omlette or scramble. It’s the part with the nutrients. that’s crazy! I’m sure it’s possible depending on how the pan was glazed. Odd because mine came out so easily! such a bummer but glad they still tasted yum! Hey Kykye. I am not sure if you are using a metal nonstick or silicone donut pan but I got rid of my silicone pan for the reason you described above. It did not matter what I greased that thing with donuts would not come out as one. My metal nonstick works best with a non-stick spray. I personally use Trader Joe’s Coconut spray and donuts tend to come out just fine. I am sure the baking spray found in other grocery stores would also work great but not my preference. If greasing with butter I would do the old fashioned trick of adding a little flour and shaking, then discarding the excess. I have also noticed that with some recipes baking them just a couple of minutes longer will help them come out easier as well. The trouble area tends to be around the center so try to loosen that area with a small silcone spatula first if it is sticking. Backed donuts can be tricky to remove, especially if it is all almond flour. This recipe is a mix and tends to release easier. I hope these tips help a little. love these tips! the coconut spray from TJ’s is a fave of mine too! I do have a metal non stick. I bought some spray so I think I will give it another try. The worst that can happen is I use a spoon to eat the pieces instead of the doughnut finger choke hold ; ) Thank you for the advice. Greatly appreciated! its seriously delicious! hope you give them a try! Should the protein powder be unflavored? Or can you use a flavored protein powder? it doesn’t really matter just make sure you check the nutrition label to ensure that it’s keto-friendly! what is the need for substitution? dietary or lack of product? awesome!!! so glad you loved them! What protein powder did you use or recommend? I really like Orgain and Vital Proteins! Have you considered changing it to egg whites instead of using whole eggs?